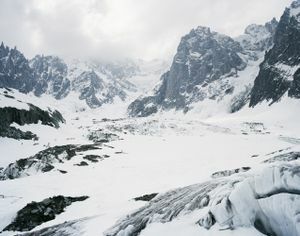 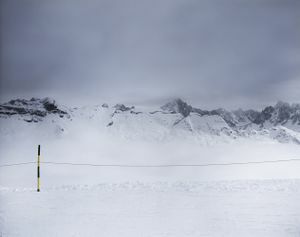 In this series, I explore the tension between man's attempt to shape the alpine environment and our vulnerability confronted with an inability to control its natural forces. 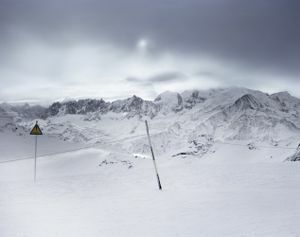 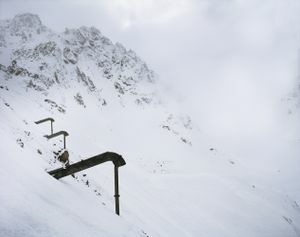 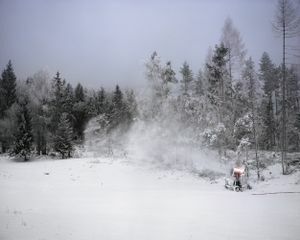 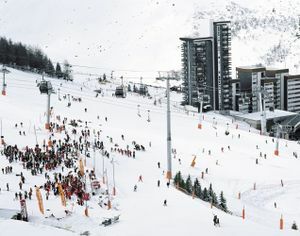 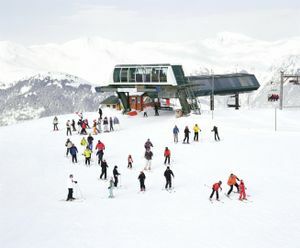 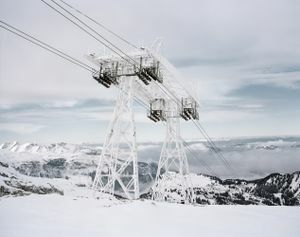 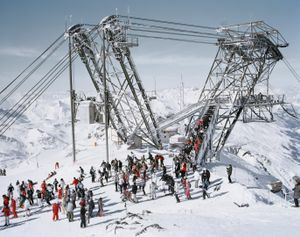 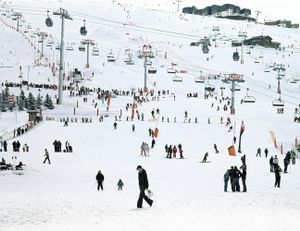 Ski resorts with ready accessibility, urban density and architecture, snowmaking, piste grooming and avalanche blasting, create an illusion of security for the masses. 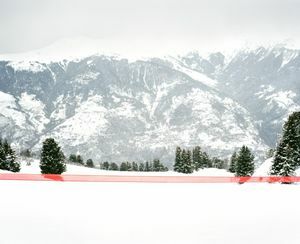 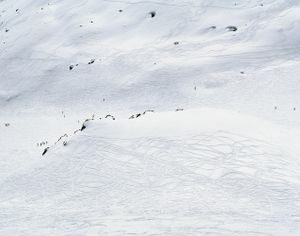 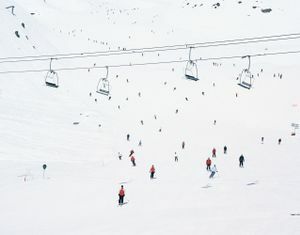 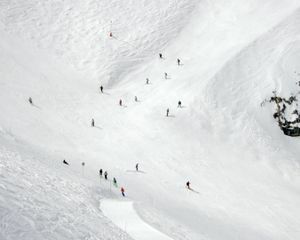 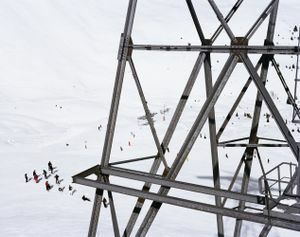 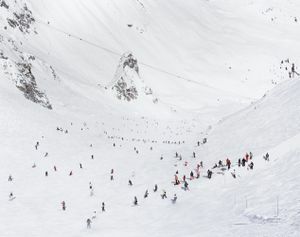 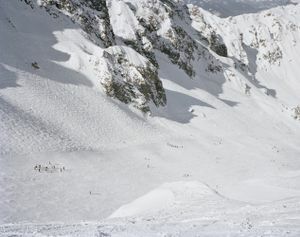 The predictability bordering on absurdity of human behavior is apparent in skiers' desire to herd together, move as a pack and remain within a comfort zone, avoiding ‘forbidden’ areas. 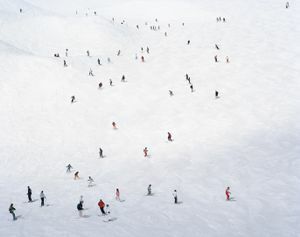 As a microcosm of human behavior, this highlights man’s urge to socialize, colonize and dominate versus the Romantic quest for solitary and contemplative experiences.